Philip Billing gave the Yorkshire side the lead after 34 minutes when he headed in his first Premier League goal from Chris Lowe's corner. But Marco Silva's side equalised within 87 seconds as Dominic Calvert-Lewin rose to head in Lucas Digne's cross from the left. 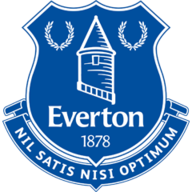 Everton: Pickford (7), Digne (7), Coleman (6), Zouma (7), Holgate (7), Davies (5), Schneiderlin (6), Sigurdsson (5), Walcott (6), Calvert-Lewin (7), Tosun (6). 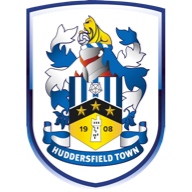 Huddersfield: Lossl (6), Kongolo (6), Lowe (7), Zanka (6), Schindler (6), Hadergjonaj (6), Billing (8), Mooy (7), Diakhaby (6), van La Parra (6), Mounie (7). Huddersfield, who have moved out of the relegation zone and up to 17th position, shaded the second period with neither side coming close to finding a winner, meaning both have now recorded two draws on the bounce. Everton move up to seventh place but it is a point that will suit Terriers boss David Wagner a lot more, although his side's six shots on target compared to the hosts' one suggests it was they who might count themselves unlucky not to win this encounter. Everton were without the suspended Richarlison and they missed the Brazilian's trickery even before Theo Walcott was forced off the field through injury early in the second half. By then, both sides had found the net in a frantic three-minute spell that sparked this niggly contest into life. Everton have struggled to defend set pieces so far this season, with Wolves, Southampton and Bournemouth all scoring in their three previous matches from such deliveries - and Billing benefited from their latest display of weakness. Everton made four changes from the side that drew 2-2 at Bournemouth in their last Premier League outing. Lucas Digne was picked over Leighton Baines at left-back. Kurt Zouma replaced the injured Michael Keane, Morgan Schneiderlin returned from injury in place of Idrissa Gueye, while Dominic Calvert-Lewin covered for the suspended Richarlison. Huddersfield made two changes to the side that drew 0-0 against Cardiff last time out in the Premier League. Jonas Lossl replaced the injured Ben Hamer while Chris Lowe came in for the suspended Jonathan Hogg. Chris Lowe's corner was inadvertently flicked on by Calvert-Lewin at the front post, with the Denmark Under-21 international heading in unmarked from close range. But Everton's response was immediate. Kurt Zouma fed Digne down the left, and the former Barcelona full-back - on his first Premier Leagure start- cut inside Adama Diakhaby before his cross was headed in by Calvert-Lewin for his third goal of the week. The 21-year-old scored twice in the 3-1 victory over Rotherham in the Carabao Cup second-round win on Wednesday, and he very nearly completed the turnaround before the interval as he headed over from Walcott's cross when well-placed. Cenk Tosun, Seamus Coleman and Zouma had all flashed speculative efforts wide of Lossl's goal in a frustrating first half for the hosts, and the closest they came to scoring in the second period fell to Tosun but he headed over from Zouma's hooked cross. Huddersfield were always dangerous on the counter-attack with Rajiv van La Parra firing over - but neither side had the cutting edge to turn one point into three. Huddersfield haven't won any of their last 15 away games against Everton in all competitions (D3 L12), last winning there 2-1 in the top-flight in September 1937. Everton recorded their 200th score draw in the Premier League, more than any other team in the competition. There were just 87 seconds between Philip Billing giving Huddersfield the lead and Dominic Calvert-Lewin's equaliser for Everton. Yorkshire teams have won none of their last 16 Premier League visits to Goodison Park (W0 D6 L10) since Sheffield Wednesday won 2-1 there in April 1999. Huddersfield's Philip Billing scored his first league goal since February 2017 vs Reading, ending a run of 31 appearances without a goal (inc. play-offs). Billing saw his midfield partner Jonathan Hogg receive his marching orders in last weekend's stalemate with Cardiff and the 22-year-old must have thought he was in for a long afternoon when referee Stuart Attwell brandished a yellow card in his direction after just four minutes at Goodison Park. The young Dane grew into this game, and didn't let the early caution affect his energy levels and determination to earn his side a positive result on Merseyside. Billing was among many Huddersfield players who worked tirelessly to preserve a point for the relegation candidates, and he capped his display with a well-placed header from close range in front of the Gwlays Street to give his side the lead. Everton host West Ham at Goodison Park live on Super Sunday after the international break on September 16. Huddersfield host Crystal Palace a day earlier at the John Smith's Stadium.